All kinds of issues, close to tear out but want some advice. 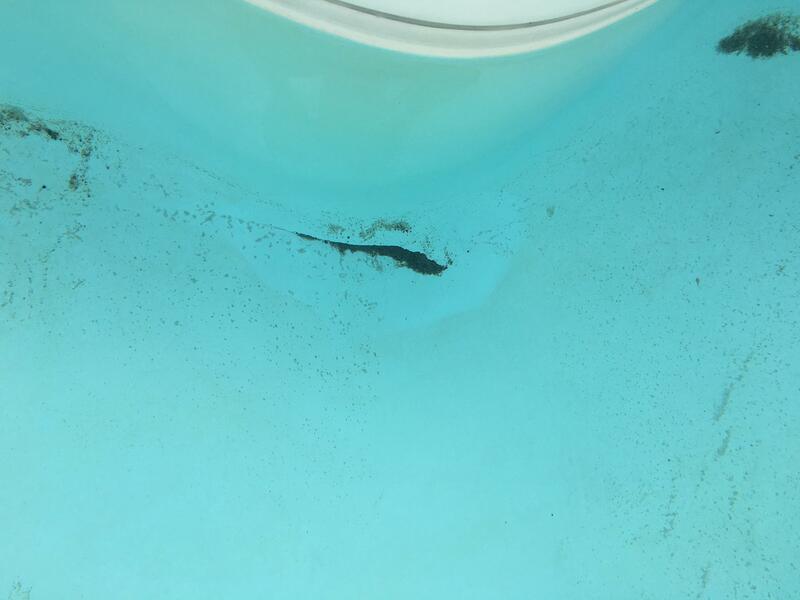 My smaller in ground fiberglass pool has had a rough go. The original owners put it in around 2001, so its getting up there in years. I am not sure how long they are suppose to last, but a fiberglass guy came out said the gel coat was still good. Anyways the winter of 2016 caused a lot of damage. 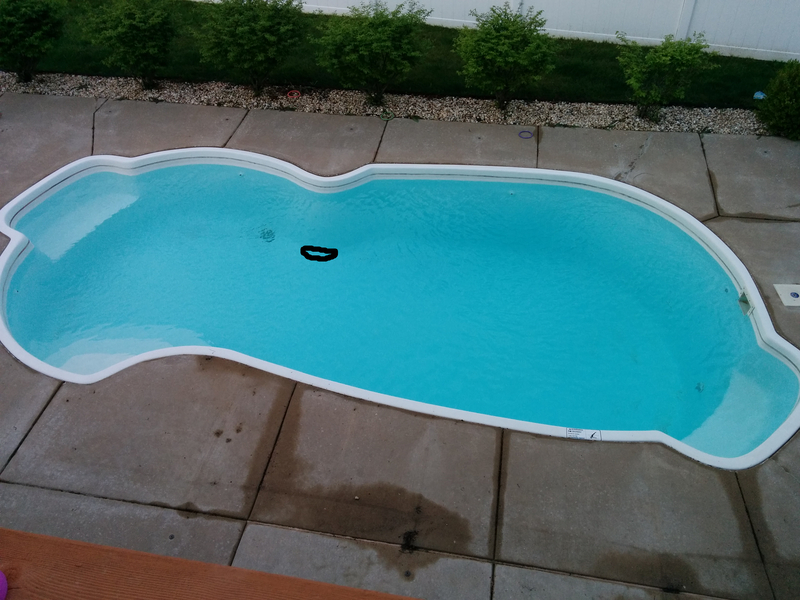 We had heavy rains for about 2 weeks and supposedly in my area a lot of fiberglass pools got damaged. I ended up with a few issues from all that extra pressure. First I ended up with a crack about 12 inches long in the bottom, it tapered down from about 2 inches, so it was fairly narrow (I suppose). The floor also got some distortion (one bumped up area), and the sides seem to be slightly bulging. When I first got it open and inside there was very noticeable water bedding going on. I got some quotes to fill the crack and they ran up to 7k. One guy told me to put down some underwater epoxy to seal it up for now, and I did. But later in the summer it started to pop up on one side. Anyhow I didn't have the extra cash last summer, we used the pool anyhow and outside of the weird floor distortions it held water well enough. So in a month or so I will be opening back up, I have no idea what I will find but assuming it's not much worse I would like some advice. Is it possible to fix anything in regards to the back fill? I got a feeling it wasn't done well and is now putting massive amounts of pressure on the sides. I wasn't sure if you could have the coping slabs pulled back (they are in individual sections), or just removed and the inside around the pool somewhat dug out to relieve pressure. Then refilled properly. I also was not sure if now that the fiberglass is bulging if it can even go back to normal or if it's stuck like that. The fiberglass guy also has to cut out a good sized rectangle around the crack to fix it. This may sound crazy but can you cut out a few areas where the bulges are and flatten them out? It seems like fiberglass is pretty amazing as far as repairing. OR, would you guys just rip it all out and fill in the hole? I am hearing it can cost over 10k to have it done. But I would be willing to put 10-15k into trying to save it. And if you could post a pic or two of the pool & surrounding area that would help too. Oh sorry, that probably would've been helpful! It's only about 10k - 11k gallons. A good fiberglass guy can cut out the bad sections and easily lay up a glass repair but if your family enjoys the pool and it is in your budget, go for a new one and end the headaches. After 16 yrs, it will be nickel and dime you forever.